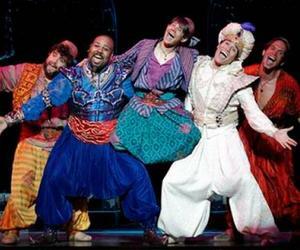 The Cuban version of the musical "Aladdin" premiered at the Amphitheater of the Avenue of the Port of Havana, on the night of July 26. Under the artistic direction of Alfonso Menendez, the show of an hour and a few minutes brought the audience the homonymous work of American Alan Menken premiered at the New Amsterdam Theatre on Broadway last year. The premiere of the work in this summer stage provided a very good reception from the habaneros, who usually have limited offers for family entertainment. Similarly, the island considers the debut of "Aladdin" as an important step to rescue the musical tradition in Cuba.